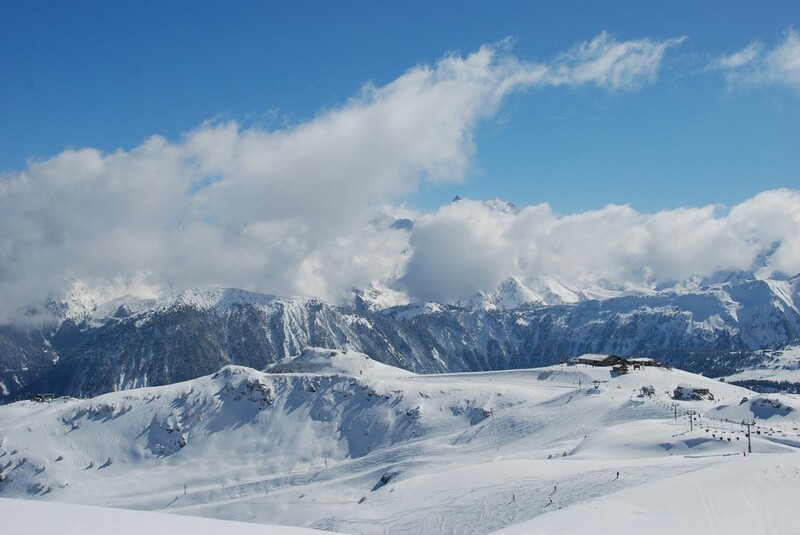 Have You Skied The Top 5 Pistes in the Three Valleys? If you have spent as much time in a resort as we have in Méribel you will get to know it quite well. Since setting up Basecamp for our courses in Méribel we have fallen in love with it. This could be because of the people and the amazing places to hangout or it could be something to do with the massive ski area. Méribel is part of the 3 Valleys which means 600km of piste over an area the size of Bristol to play in as well as miles of backcountry to get our powder fix in. With those sort of numbers, it is no surprise that we made it our winter home. With love comes obsession which is probably why we found ourselves in a conversation about our favourite run in the 3 Valleys. Naturally, no one agreed so we compromised and decided on a top 5. 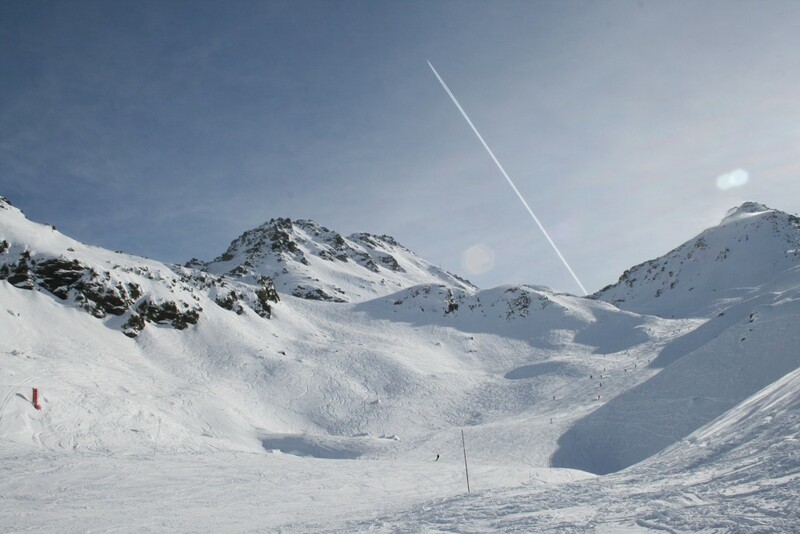 We’ve chosen Mont Vallon’s Combe de Vallon piste to start — a wide, open red run cutting down beneath the Mont Vallon gondola to the base of the mountain. The views out over the terrain from the peak at 2,952 meters are spectacular and the Combe de Vallon’s gradient lets you reach top speed quickly. Mont Vallon is tucked off to the side of Méribel-Mottaret and the through-traffic tends to miss it out. Because of this, the Combe de Vallon piste is usually blissfully empty and when you’re warmed up and looking to carve over the snow at high speed, few runs come close. 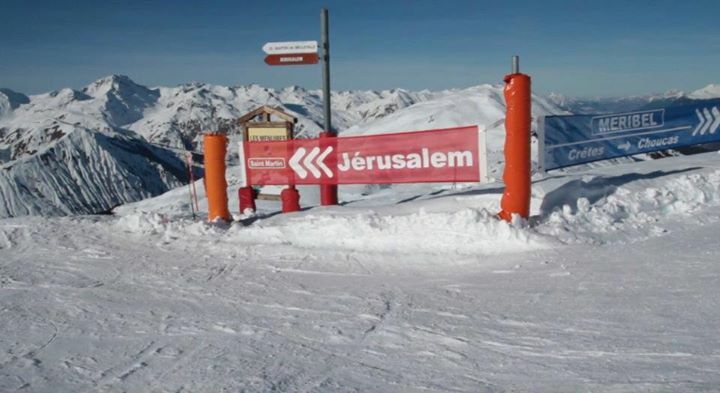 Jerusalem is a rolling red run sitting above St Martin. It starts from the ridge between Méribel-Mottaret and St Martin and drops down the St Martin side towards the town below. It’s the many natural rollers lining the length of Jerusalem that make the run so special. You can drop in, pick up a good head of steam and hit them hard before slowing down for the corner at the bottom. At the end, make the most of the long descent and continue on down Biolley, the blue piste leading straight into St Martin at the bottom of the valley. Christine is accessed from the top of the Funitel Peclet in Val Thorens — just come out of the gondola, traverse the cat-track to the right and drop in where the piste bends round to the left. This red run wins no awards for the pace you can pick up, but chipping through the tight turns that line the way is fantastic fun. There are about 4 sharp chicanes along the length of the piste before it opens up into a broad blue run and heads down toward the base of the Plein Sud chair. At #2 we’ve chosen not one piste, but a string of pistes that link the top of the Saulire peak to the base of the mountain down in Méribel Village. There are a couple of different routes down, but so long as you take a look at the piste map and follow the signs you won’t go far wrong. Our challenge is to ski the entire run in one go, non-stop! From the Saulire peak, drop down toward Méribel. Pick up the pace over the broad, sweeping slopes and make sure to head right near the top of the Dent du Burgin chair. From here, cruise down among the trees through the Altiport sector — careful of beginners — and onward down the steeper slopes into Méribel Village. After a sharp descent before the base of the Golf chair, come to a halt, catch your breath and maybe hit Lodge du Village for a well-deserved drink! Our top pick for the best piste throughout the entire Three Valleys, Folières beginsin the forest above la Tania, near the ridge between Courchevel le Praz and Méribel Village below. 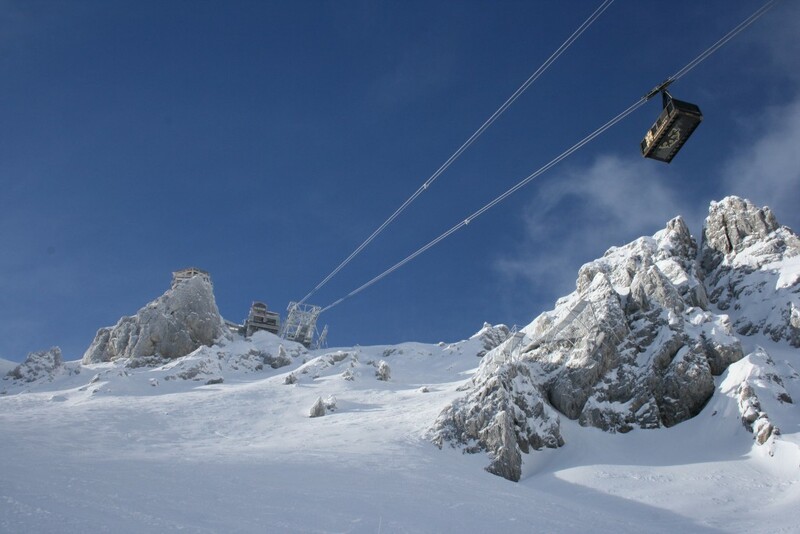 It’s basically one of la Tania’s home runs, but in our view it’s a must-do for any intermediate or advanced-level visitor to the Three Valleys. Take a seat in the snow at the top of the run and soak up stunning views of the forested descent ahead of you – Folières is tree-lined throughout and the scenery is sensational! Kick into your skis or strap into your board, take a deep breath, and go. The run starts with a good, steep gradient then twists and turns down through the forest. Huge, sweeping corners are bordered by natural rollers which make ideal hits as you fly down the mountainside, and you can often find fresh powder off to the sides even days after the last snowfall. Here’s a link to a load of piste maps as well, see if you can place the runs! Basecamp runs BASI Level 1&2 ski and snowboard instructor courses in Méribel. If you are thinking about becoming a ski instructor then gives us a call on 0208 789 9055 or download our brochure. This entry was posted in Meribel, News, ski, Snowboard and tagged La Tania, Meribel, Mont Vallon, Piste, Pistes, Saint-Martine de Belleville, ski, Ski Season, snowboard, Three Valleys, Val Thorens. Bookmark the permalink.